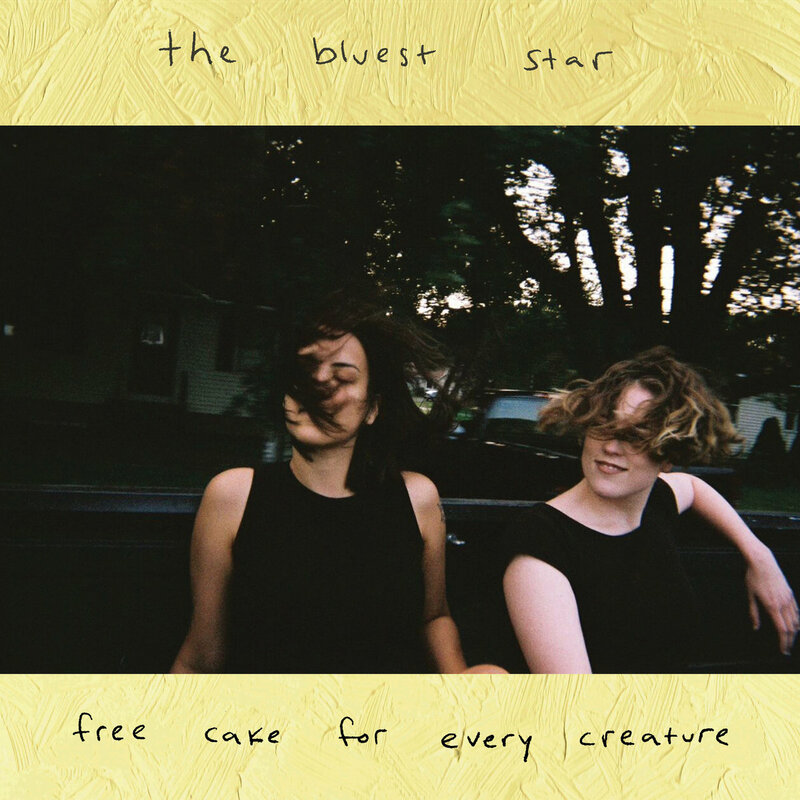 If Free Cake for Every Creature’s debut album Talking Quietly of Anything with You is about feeling lost in your 20’s, then their sophomore album The Bluest Star is about finding your voice in a hectic world and getting closer to the person you want to be. While the band’s previous work carries a dreamlike quality — like it’s floating above us in space — this new album feels more grounded and confident. It appears that Free Cake for Every Creature have found their footing, and they have never sounded better. Recorded in Katie Bennett’s home in West Philidelphia with longtime touring members Francis Lyons and Heeyoon Won, The Bluest Star (out Friday, August 3, 2018 via Double Double Whammy) carries an organic and private quality, like we are climbing into the brain of someone who’s finally finding their voice. “I’m nobody’s mother, I don’t have to hold it together,” Bennett sings in “Sideline Skyline” in her iconic whispy voice – a voice that no longer sounds like a whisper, but a declaration that things are changing. Bennett’s steady resistance against her insecurities are carried on throughout The Bluest Star. 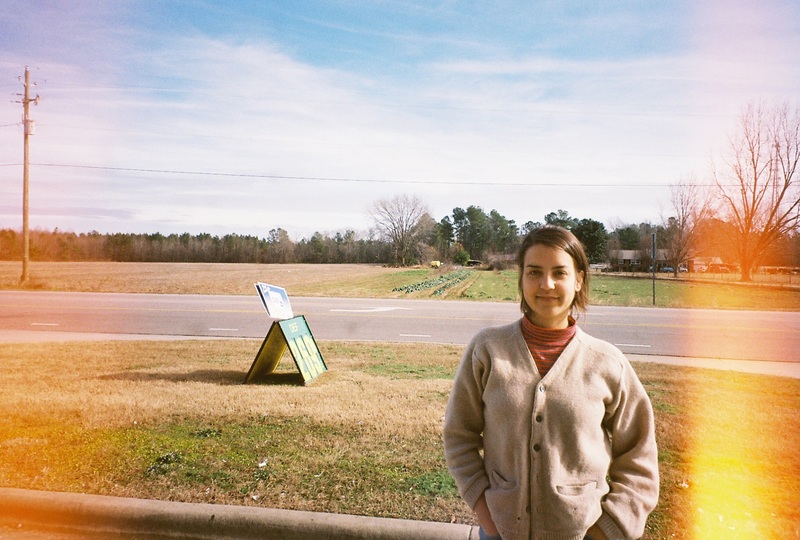 It’s present in Bennett’s lyrical revolt “Wide-Eyed Girl” (“Wide-eyed girl, why’d you swallow your words?”), as well as in the ambitiousness of her arrangements — branching from the band’s typical hushed, acoustic simplicity with added snares and synths in songs like “Shake It Out” or “Took a Walk.” Bennett effortlessly blends pop with the band’s original soft, acoustic sound to create a musical landscape for listeners to immerse themselves in, rather than simply a collection of songs – giving the album its fullness and its depth. The Bluest Star explores the inner peace that can come with the schedule of a work week; how you can find yourself in the rigidity of predictability. It is a reminder that growing and learning never stops just because you have a 9-5 job, and that finding yourself isn’t always a life-changing circumstance; that it can be found in the folds of stability. No song demonstrates this more than “Sunday Afternoon,” a slow and deliberate piece with few lyrics and the word “happily” repeated over and over, immersing us in the stillness of a quiet life. “Riding home from work on a friday afternoon, I smell like citrus, fresh and new,” Bennett quietly muses over a steady snare, in “Be Home Soon,” very much mimicking the rhythm of a train. “Six more stops, I’ll be home so soon.” The tune finds us in the humdrum of everyday life and in the throes of simple pleasures. And that seems to be the underlying message of The Bluest Star: Shake it off; everything will turn out just fine. The Bluest Star is out August 3 via Double Double Whammy. Catch Free Cake for Every Creature on tour this August – dates and more info below!